Senior Brandon Qualls of Caddo Hills High School in Arkansas can now go to school with much more ease than before thanks to a significant gesture and act of friendship by his classmate Tanner Wilson. 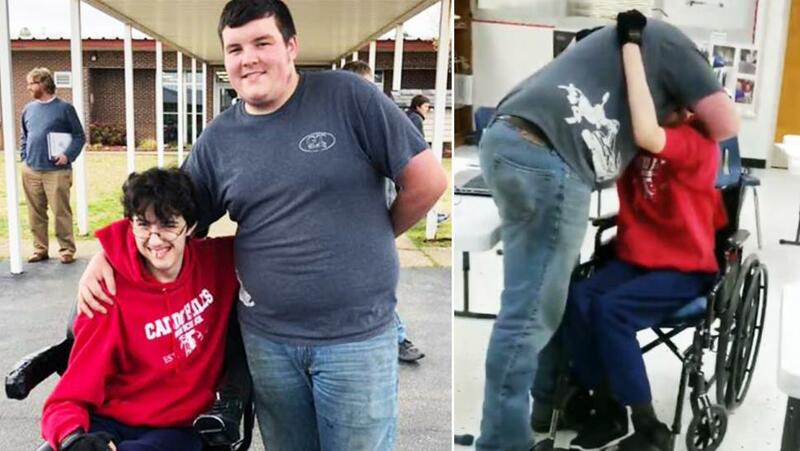 It was Tanner’s wish to make things easier for his good friend Brandon, who would often tire maneuvering his manual wheelchair. So Wilson started saving to be able to give his best friend the surprise of his life: an electric wheelchair. Tanner saved up from his job at a local mechanic shop for over two years in order to give such a generous and selfless gift. Tanner gave his good friend Brandon the new electric wheelchair in a surprise presentation in front of all their classmates with the support of teachers and school staff.